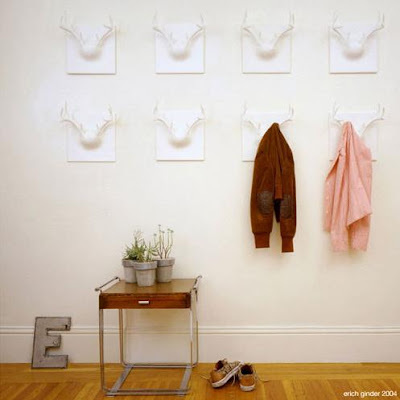 Mostly the coatracks consists of a set of hooks affixed to the wall in a nondescript way. But what we have here is something interesting and different! Decorative City Coatrack: Its inspired by the great city and features all its interesting arrangements of landmarks and architecture; and was designed by Rösing for Radius Design. Rockclimbing Coatracks: A creative coatrack by Spanish designer Ferran Lajara, you need to climb the wall every time you need to reach your jackets. 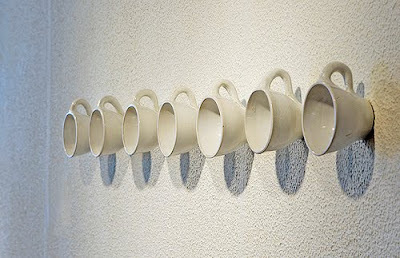 Coffee Cup Coatracks: Cups are useful everyday objects, and are being used here in a completely new context by Icelandic designer Ragnheidur Agustsdottir. Creative! 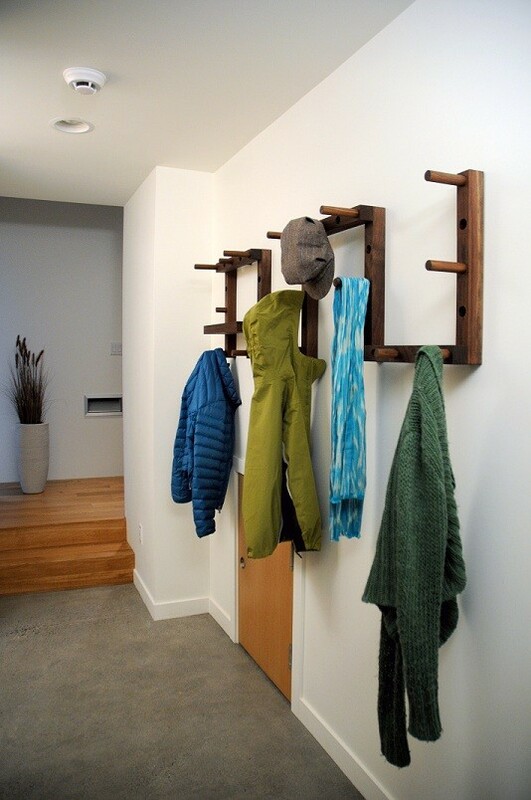 Thru-Block Wood Coatrack: It's a wall fixed modular system, with a minimalist, contemporary, and sculptural look. 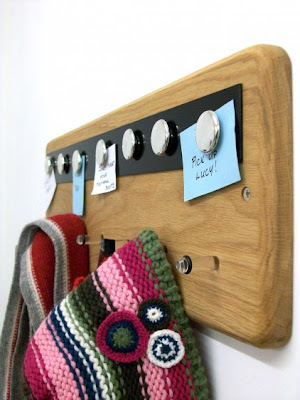 Magnetic Notice Board and Coatrack: This oak coatrack has seven perspexpegs to put your coats, keys, hats and bags, along with a black magnetic notice board to post notes and photographs on it. 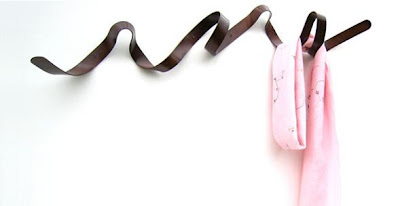 Ribbon Coatrack: Its inspired by a ribbon flying in the wind, it merges function and art, and can hold up to 5 coats and scarves, but by itself is wall art. 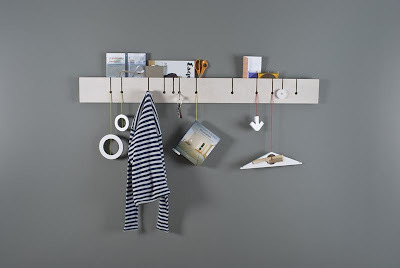 Plumbing Coatrack: This creative and beautiful coatrack is completely handmade from plumbing parts. 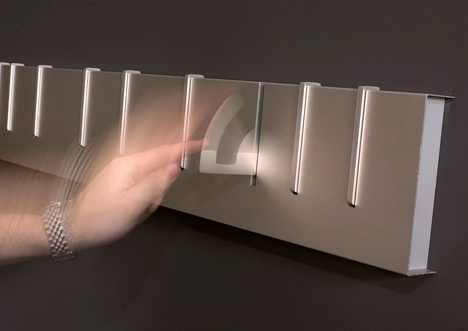 Slat Coatrack: On this one you can put jackets, hats, helmets, bags, keys,umbrellas and you can also place your mail, newspapers and magazines on the shelf. 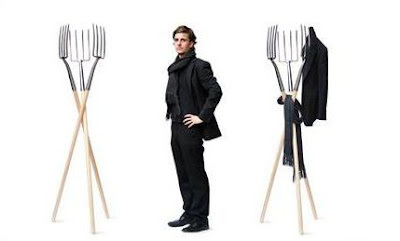 Colin's Coatrack : Colin O'Dowd's coatrack is definitely a conversation piece on any wall. 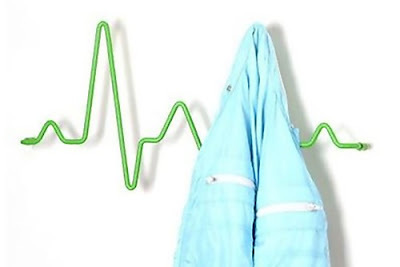 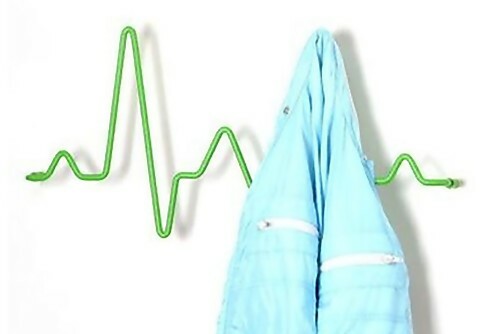 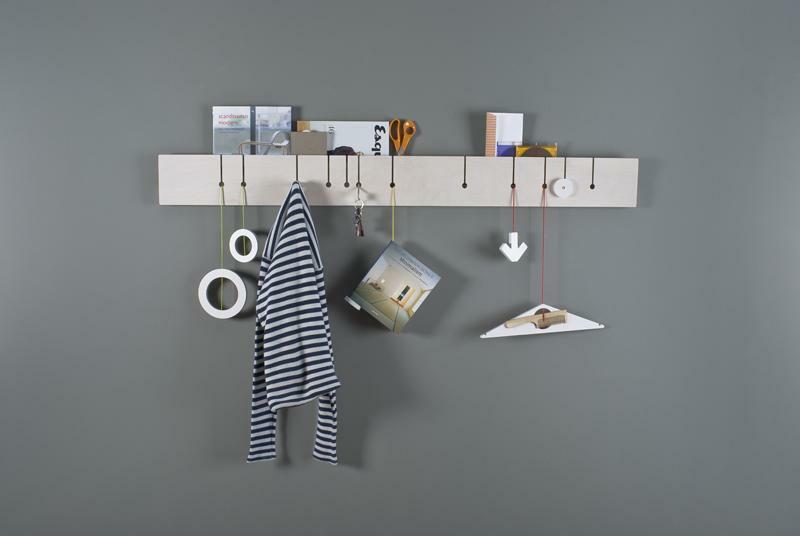 Line Coatrack: This one is for those who appreciate creativity in everyday things. Slastic Coatrack: The Slastic coatrack relates back to the order that parents generally give to their children not to draw on the walls and, once grown up, invites them to disobey it. Antler Coatrack: Its inspired by the shape of a deer's antlers, and is the creation of Erich Ginder. Organic Tree Coatrack: Designed by Dutch designer Bronwasser for Cascando, its design looks like a tree and it can hold as many as 20 coats. 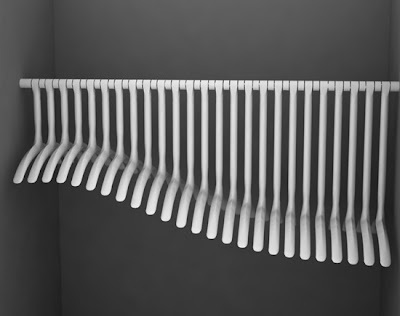 Twist Coatrack: Built from eight solid beech prongs that are connected with steel and plastic, it blurs the lines between art and function. 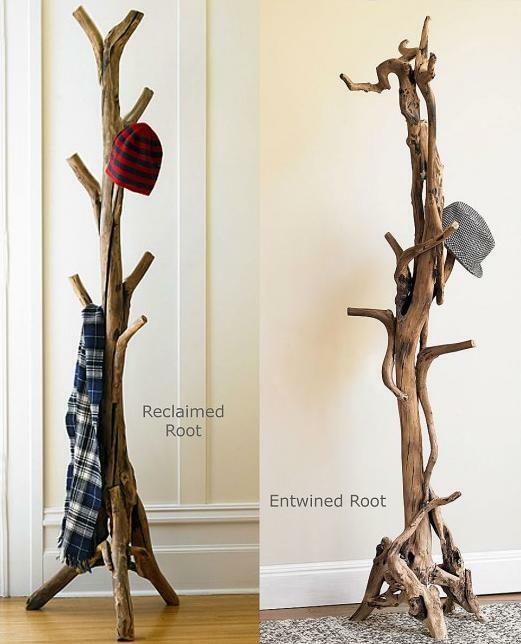 Root Coatrack: It combines the natural serpentine artistry of entwined tree roots. 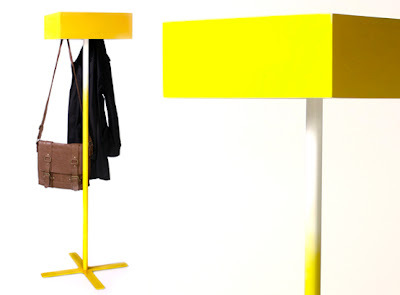 Nal Coatrack: Its designed to mimic a floor lamp and its shade hides the unattractive hooks. Pitchfork Coatracks: This '14.7' pitchfork coatrack from Olschewski is a creative and alternate use for garden tools. 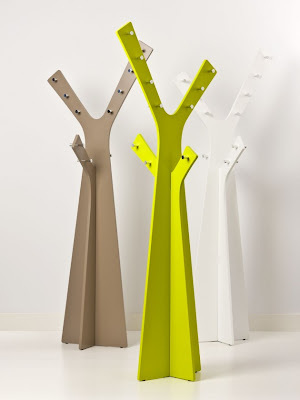 Seasonal Coatracks: The 'Symbol' coatrack is designed keeping the seasonal weather in preview by designer Scott. 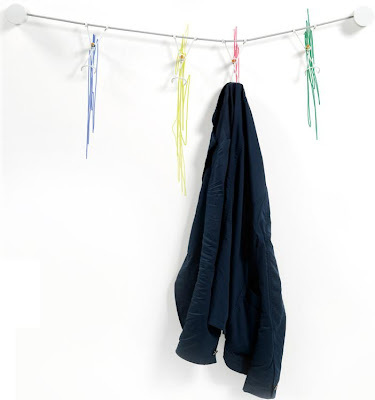 During the warmer months as there is less need for jackets the colored coat hooks can be folded inward. 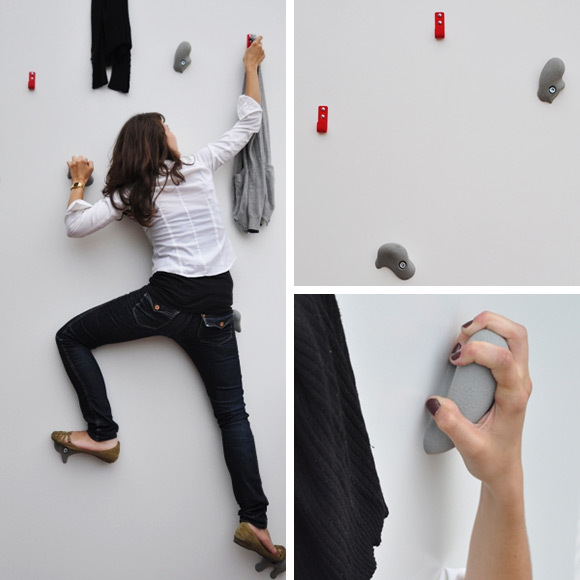 Dino Coatrack: It's designed by Finnish designer Kayiwa. 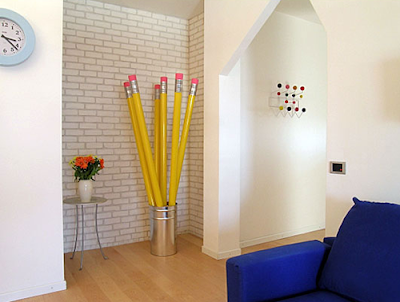 Oversized Pencils Coatrack: This creative oversized pencil coatrack is creation of designer Peyridieu.